(Reuters) - A rapper who was performing at an Arkansas nightclub where dozens of people were wounded in a shooting was arrested early on Sunday on unrelated charges, but police in Little Rock said they are also waiting to question him about the weekend melee. 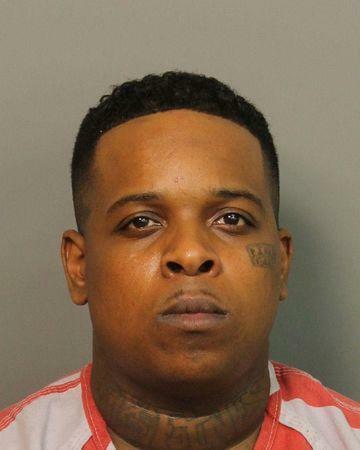 Ricky Hampton, 25, from Memphis, Tennessee, who performs under the name Finesse 2 Tymes, is a "person of interest" in the shooting at Little Rock's Power Ultra Lounge, Lieutenant Steven McClanahan, a spokesman for the Little Rock police, said. Hampton was arrested on Sunday outside the Side Effects club in Birmingham, Alabama, on charges of aggravated assault with a gun, Cliff LaBarge, a U.S. Marshals Service spokesman, said in an email. The performer was taken into custody on arrest warrants out of Forest City, Arkansas, Little Rock police said in a Twitter message. Little Rock police were questioning numerous people of interest in an effort to piece together a "complicated" series of events that unfolded at the Power Ultra Lounge, McClanahan said. Police are waiting for Hampton to be returned to Little Rock so he can be questioned, he said. No arrests have been made yet in the incident, which occurred early Saturday morning and left 25 people with gunshot wounds and three others injured as clubgoers scrambled for the exits. Hampton and another man were arrested in Alabama by members of the U.S. Marshals, the Bureau of Alcohol, Tobacco, Firearms and Explosives and the Federal Bureau of Investigation after they pulled up to the Side Effects club in a Mercedes and exited the car, LaBarge said, adding that officers seized three weapons found in the car. A promotional page for Hampton's performance shows a young man looking down the sight of what appears to be a gun, with the barrel pointed at the viewer. Little Rock police said on Saturday that the shooting might have stemmed from a running dispute between rival gangs. A bystander's video broadcast by local media showed the crowded club at the moment gunshots rang out, followed by the sound of people screaming in the dark. McClanahan, the police spokesman, urged anyone with additional video footage taken inside the club to step forward. Arkansas Governor Asa Hutchinson said the melee highlighted a spike in violent crime in the state's largest city and called for steps to reverse the trend. Little Rock police are investigating about a dozen drive-by shootings in the past week, local media reported, including an incident in which a 7-year-old boy was wounded.